So I've never been out of the country before (thankfully I've made it to quite a few states, even as far as Hawaii! ), I love traveling though & really want to explore the world. 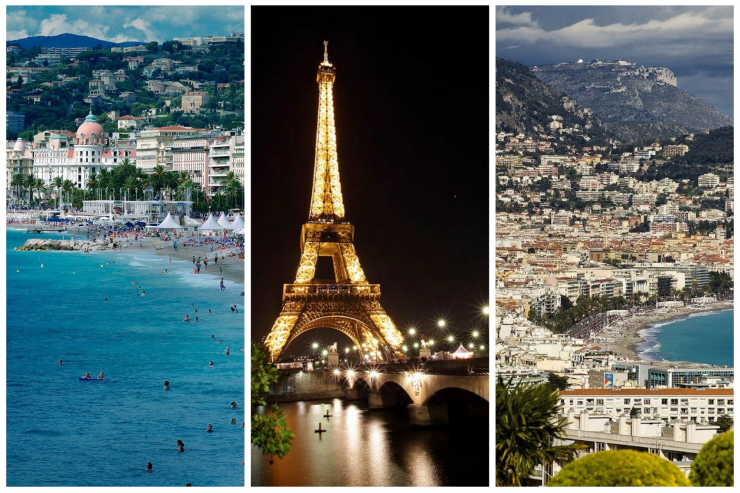 There are countless destinations I am dying to visit, but since it's Friday I figured I would share the 5 places I need to go! It has been my dream to go here since forever. I literally want to explore every inch of this country. There is something about France that is just so glamorous & romantic, which makes it my #1 place I want to go. I am Italian & love Italian food. I need to go here to explore & eat my heart out. 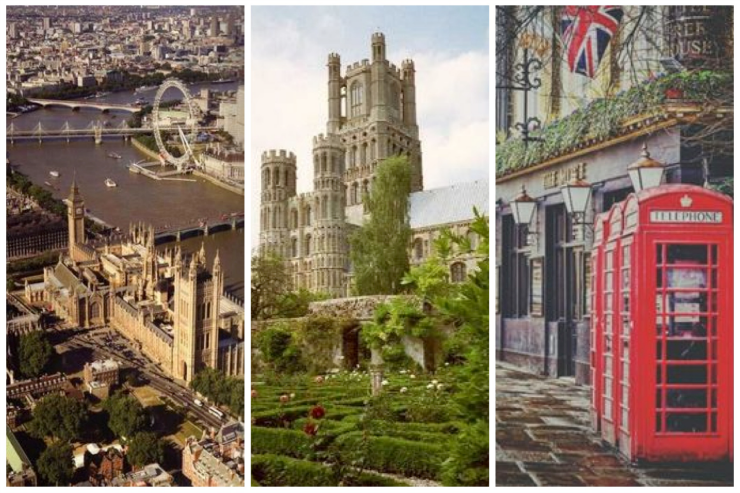 I want to go to England to see London & to get lost in the English country side. Also I love the Royal Family (specifically Kate Middleton) & would love to catch a glimpse in person! 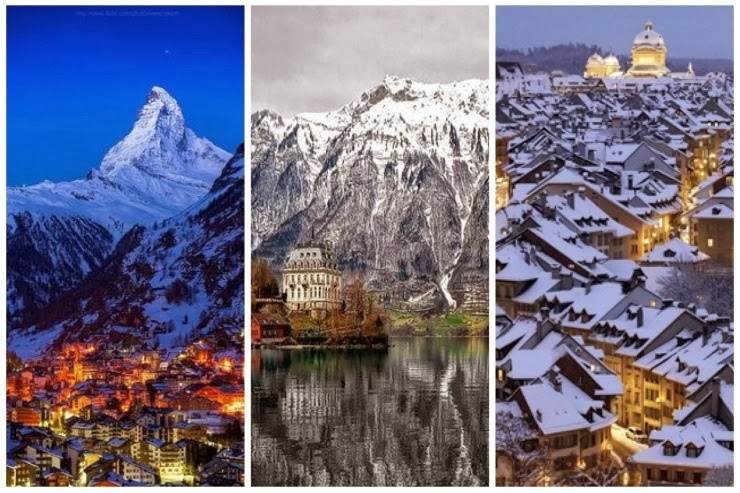 Every time I see pictures of Switzerland it looks like quaint European winter village that would be amazing to visit. One of my good friends studied abroad here & never wanted to leave, when she told me about her trip I knew I had to go someday. 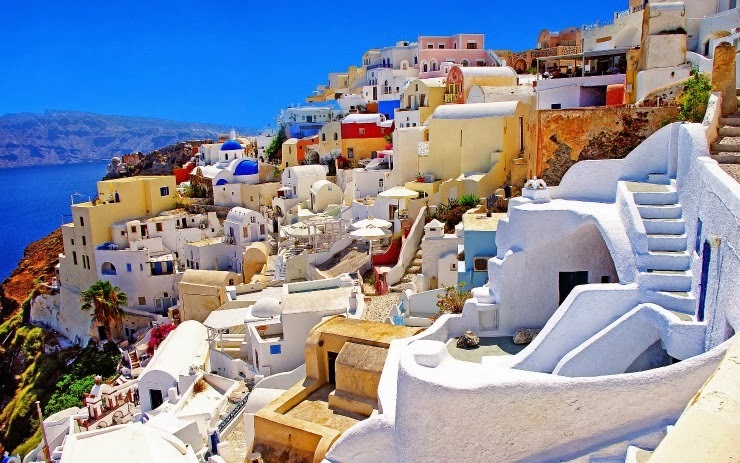 Bonus: I know I announced this before, but I'm going to Greece this summer, so it's officially moved from my 'Where I Want to Go List' to my 'Where I'm Going List'! Since I last discussed Greece I found out that one of my sorority sisters is going too, which I am so happy about because I will now have a buddy along with me. I seriously cannot wait until May & am just ecstatic to be going. Paris and London are my top 2 places. Super jealous of your Greece trip!! What a great list!!! So jealous you're knocking Greece off, that is up on top for me, along with a safari in South Africa! Switzerland is exactly as you described, you would love it! 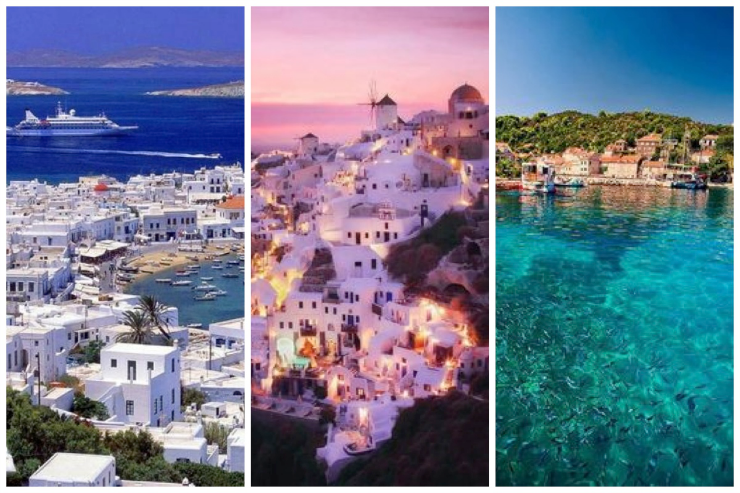 Barcelona, Paris, Milan, Monaco, Brisbane.....Would love to go to Greece too. Lucky you!! Would you like to follow each other on GFC? Please let me know on my blog so I can follow back. Thank you. 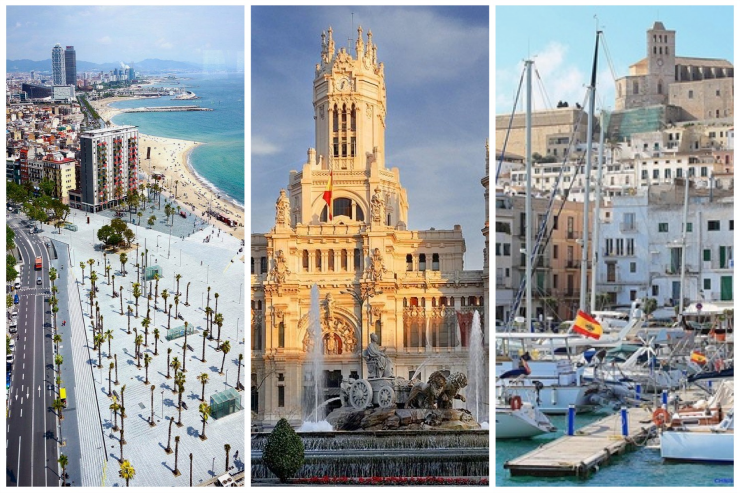 I couldn't agree more that these places are on my wishlists! I want to go to Paris someday as well. There's something about that city that just lures you to it. It's so beautiful and romantic. Your wish list is perfect. And, I think I would go to Paris every year, if given the opportunity. what a great list! And Greece! how exciting!! Australia and New York! Have a nice Sunday! I too want to go these places! Beautiful places! London is an amazing place, I love going there! If you want to see the English country side at its best, try and plan a visit to the Lake District. It is BEAUTIFUL! 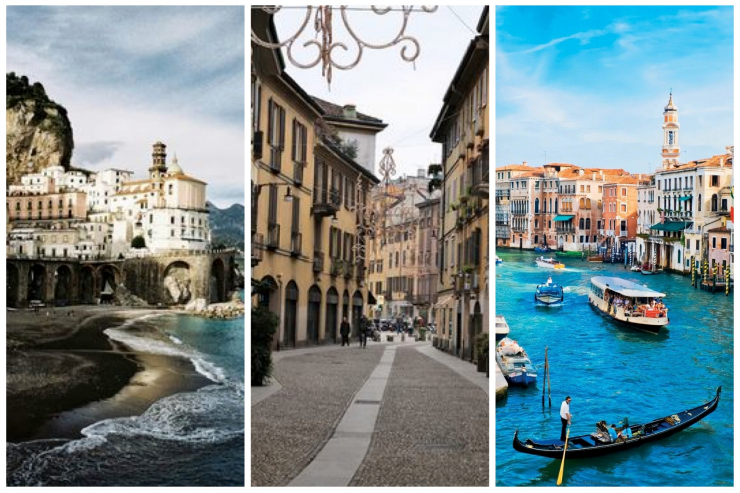 Get yourself to Italy, especially Venice & Tuscany! I too am Italian! Oh wow!You listed four of the countries I will be visiting in March.I have been to England so many times, so I will be skipping that country this spring. Of them all, I am excited to go to Paris and Rome! Like your top 5 , especially your bonus. WOW!